1997: Jonathan Creek – The Geek’s Detective | Warped Factor - Words in the Key of Geek. Tony goes to play in a windmill. You know this to be true – it’s why the internet and even the scholarly world is full to the back teeth with debates and nit-picking on the hows and whys and wherefores of our fandoms. We want to understand how things work within the universes we adore. An underpinning of believable ‘hows’ makes our enjoyment of the magic stronger. The same is of course true of crime buffs. The hows and whys and wherefores are what make crime stories work – the truths hidden behind appearances of normality are the key to unlocking any mystery you care to name. That’s the common theme in geekery and crime fandom – finding the truth behind the scene is where all the pleasure lies. It’s also true that some classic detective tropes have been absorbed into geekery along the way: the hero-investigator who lives among us, but is not strictly like us; the friends who don’t approach their level of power, but without whom they would be lessened; the uniqueness of dress and manner, representing their operating on a level different to the rest of us. Whether we’re talking about Holmes and Watson, Poirot and Hastings, Buffy and her Scooby Gang, Scooby and his Scooby Gang, the Doctor and his companions, or Harry and his horcrux-hunters, there’s a formula at work, re-used time and time again because it keys us in to the solving of mysteries. 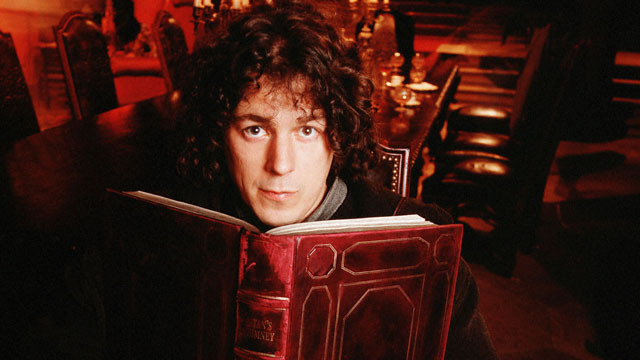 When Jonathan Creek appeared on TV for the first time in 1997, he bridged the worlds of geekery and crime. Non-geeks could absolutely watch him for a gentle, intriguing crime drama with little in the way of running around or fisticuffs, but really, Jonathan Creek looked straight down the lens at the geek world, inviting us into his windmill, and daring us to be a little more rational in our approach to the world. David Renwick, the brains behind Creek, was above all a comedy writer – he’s most famous for creating pensioner and crusader for sanity in an insane world Victor Meldrew in the BBC sit-com One Foot In The Grave. When it came to delivering a new crime mystery show, Renwick went straight to the core of the question: who would have a unique take on the world? Who would be able to think round the corners of a perceived but impossible fiction, and find the truth underneath? Someone whose job it was, day in, day out, to persuade other people they were witnessing the impossible, clearly. A maker of magic, then? A magician? No – someone who created the illusions which magicians sold with their flim-flam, their showmanship and misdirection. That was the central conceit of Jonathan Creek – he was a man who saw things rationally, or who at the very least could feel when something was out of place, when something didn’t fit. Many of the original Creek stories hinged on a single detail, a single clue that was out of place. Renwick essentially took Conan Doyle’s conceit that ‘Once you have eliminated the impossible, whatever remains, however improbable, must be the truth,’ and brought it to bear on modern, often ‘bizarre’ or ‘unsolveable’ mysteries. 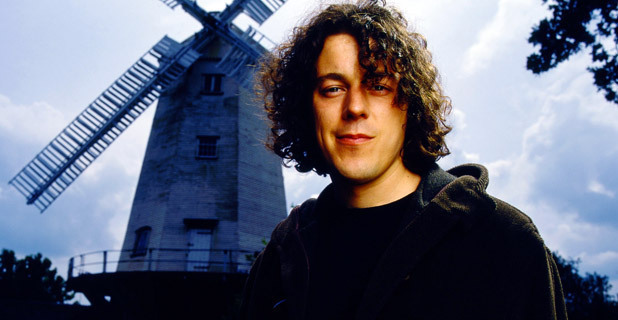 The character of Creek was given everything he could need to separate himself from the mass of humanity: he lived in a windmill, wore a duffel-coat (apparently, Alan Davies turned up to the audition in his own, looking more like the Creek in Renwick’s mind than some other high-profile actors who passed on the role) and was fantastically geeky both about his profession (the windmill was full of paraphernalia and books on the history of illusion, and he was all about a perfectly-built scale model, given any excuse), and about the things outside it he enjoyed (knowing precise timing-rates for peak exercise efficiency while jogging, displaying his nerd-cool knowledge of sleeve-notes and band-history when face to face with one of his musical idols, etc). While always eschewing traditional geek-subjects, Creek was as geeky as they came in his own specialised fields of interest. His original ‘Watson,’ like…well, the original Watson, was no simple ‘What do you mean?’ plot-engine either. Maddy Magellan, written for and played by Caroline Quentin, was a proper journalist, specialising in miscarriages of justice, and having, as we discovered, a tough background of her own that she’d overcome to get where she was when we met her. Equally important, their characters were polar opposites – he with his finicky insistence on precision and a degree of delicacy, she with her ‘hit it with a hammer while chewing a cheeseburger’ straightforwardness. They were opposites that worked, that complimented each other professionally, while being almost colossally stupid about the levels of attraction that grew between them over the first three seasons of the show. With a writer trained and experienced more in comedy than in drama, and two lead actors both more familiar for their work in a comedy setting, it was inevitable that Jonathan Creek would have a strong line of comedy running through it, but the show never became outright comedy – even in One Foot In The Grave, Renwick’s comedy came from a background of absolutely believable situations, and with Creek, the comedy was frequently mordant, verging on black, with brighter veins of humour coming from the character conflicts, almost like an old black-and-white Clark Gable romantic comedy. Jonathan’s nominal employer, magician Adam Klaus, (notably played by Anthony Stewart Head in the pilot before ‘real’ magic called from across the Atlantic and the illusionist turned Watcher in Buffy the Vampire Slayer, leaving the role vacant for Stuart Milligan to fill with his more omni-sleaze version) is a source of much of the initial outright comedy, as well as a vital part of the realism of the set-up – he’s the ‘star,’ giving the illusions their pizazz and selling them to the public, while Creek is fabulously down to earth, and yet never at all pedestrian. While we all appreciate the skill with which Klaus plies his trade, Maddy, and by extension we the audience, are more interested in how things are done, which means it’s Jonathan who really keeps our attention. Creek, like geeks, crime-fans and rationalists from Sherlock Holmes to Harry Houdini to James Randi and Richard Dawkins, revels not in the illusion of a scene, but in figuring out the often absurd reality underneath. Magellan (and her successors) may be our way into Creek’s world, but Creek is our key to a world of what’s physically possible, shorn of any supernatural or showbusiness chicanery. 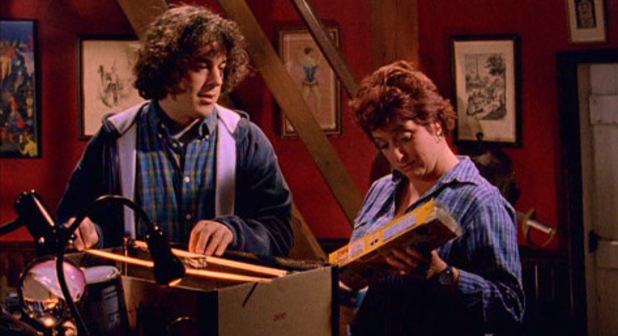 While if you strip it down to its essentials, Jonathan Creek follows a long-established rulebook of classic detective fiction – a detective working outside the realms of professionalism, with an unusual way of looking at the world, a baffled but useful sidekick etc – a key element that has made Creek the ‘geek’s detective’ has been the casting over the years, which now has a long tradition of using both ‘geek-TV’ actors, often in unexpected roles, and comedians and comic actors, almost universally in straight roles – Colin Baker, Peter Davison and Paul McGann have all starred in Creek, and his work as Creek has for years put Alan Davies on lists of likely ‘Next Doctors’ whenever there’s a regeneration in the offing. Meanwhile, from Davies and Quentin through Julia ‘Ab Fab/Curse of the Fatal Death’ Sawalha, Sheridan ‘Two Pints of Lager/Lucie Bleedin’ Miller’ Smith, Sarah ‘Smack The Pony’ Alexander, Rik Mayall and Adrian Edmondson (Young Ones/Bottom), to Nigel ‘Another Young One’ Planer, Geoff ‘Hitch-Hikers’ McGivern, Bill ‘Black Books/Widow, Wardrobe and the Doctor’ Bailey, and many more besides, Jonathan Creek has acted as a home for both comedians stretching their dramatic muscles, and geek-stars applying their skills to absolutely not-supernatural crime drama. 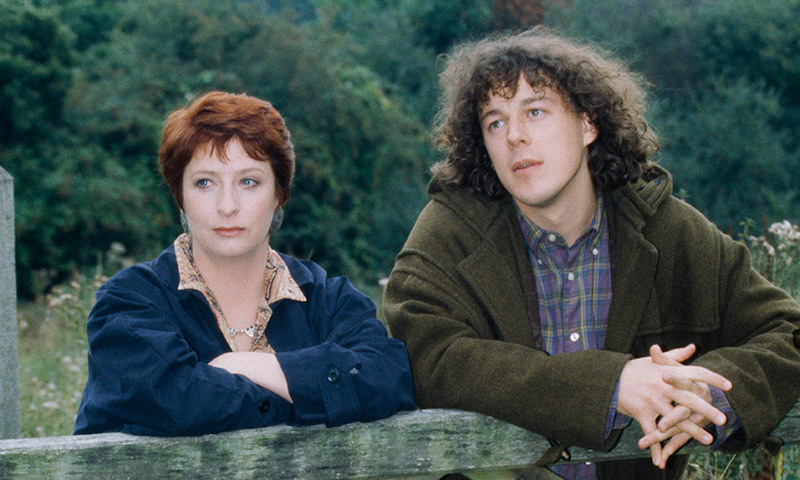 Over the years, Jonathan Creek has lost some of its initial oddness – the shift from the windmill to an ‘ordinary’ house, and more importantly moving Creek on so he’s happily married – leaving some fans feeling ‘the magic windmill guy’ has become more or less just ‘the guy who solves the utterly bizarre crimes.’ But when he first arrived, and for many years afterward, Jonathan Creek had enough geeky invention and wit to make it a must-watch show.